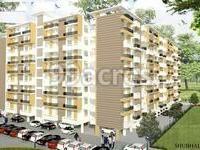 Citizen Shubhalay is a residential development by Citizen Housing, located in Allahabad. The project offers 1BHK and 2BHK apartments. It is well equipped with all the amenities to facilitate the needs of the residents. 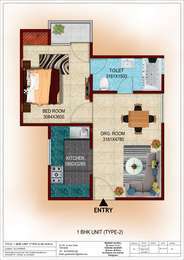 What apartment sizes are available in Citizen Shubhalay? The project offers apartments sized between 713.0 sqft and 1340.0 sqft. How much is area of 1bhk in Citizen Shubhalay? 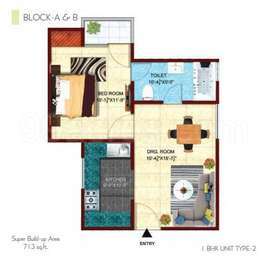 The area of 1BHK units in the project varies from 713.0 sqft to 993.0 sqft. What is total area of 2 bhk in Citizen Shubhalay? 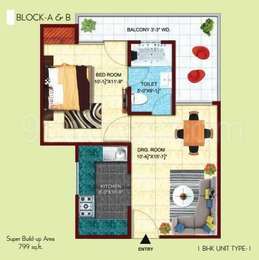 The area of 2BHK units in the project varies from 1209.0 sqft to 1340.0 sqft. How much is the total size of Citizen Shubhalay?The project is spread over an area of 1.8 Acres. What is tentative possession date of Citizen Shubhalay?The project is expected to be delivered by Dec 2020.